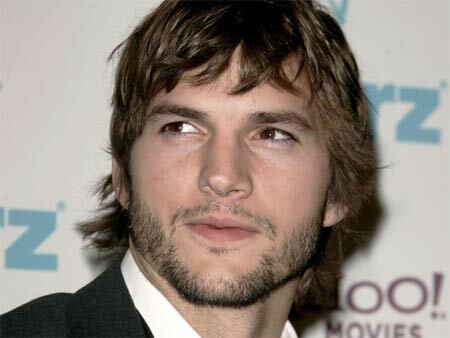 Ashton Kutcher (What Happens In Vegas) will star in Five Killers, an action comedy directed by Robert Luketic (21) and written by Bob DeRosa (The Air I Breathe) and Ted Griffin (Rumor Has It…). Kutcher will play a former hit man whose life is turned upside down because someone from his past has paid a group of killers to bump him off. Wait, a 30 year old is a former hitman? Must have started killing people early. The film will start shooting early next year. Fun Fact: Gridiron Gang helmer Phil Joanou was previously attached. This entry was posted in American Films, Celebrities and tagged 21, Ashton Kutcher, Bob DeRosa, Five Killers, Gridiron Gang, Phil Joanou, Robert Luketic, Rumor Has It..., Ted Griffin, The Air I Breathe, What Happens In Vegas by Mr Hollywood. Bookmark the permalink.